Anthony, physical therapist and sports performance coach, earned his Master’s of Physical Therapy from Quinnipiac University. Anthony is the owner/operator of Vittese Integrated Performance System, LLC. Along with diverse training in manual therapy and exercise, Anthony has extensive experience in movement assessment, testing, correction, treatment and injury prevention through Functional Movement Systems(FMS) and TPI. His clinical practice involves working with clients across the lifespan, from adolescents to professional athletes from the NBA, PGA, MLB, NFL and NHL while also providing consulting services to several professional organizations. 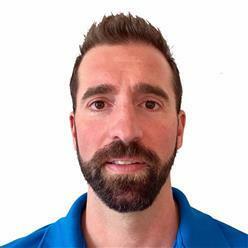 Anthony is active as an instructor for FMS, a certified strength and conditioning specialist through the NSCA and holds several certifications through TPI.